Garden of Life is America's Number One selling nutrition brand and the leader in bacteria formulas in the Natural Foods channel. They have recently launched their best-selling range of supplements in the United Kingdom, including its range of Microbiome Formulas. These have been developed in collaboration with Dr. David Perlmutter, who is America's brain-health and human microbiome expert. His expertise has been used to create unique formulas that are designed to meet specific needs within our bodies. 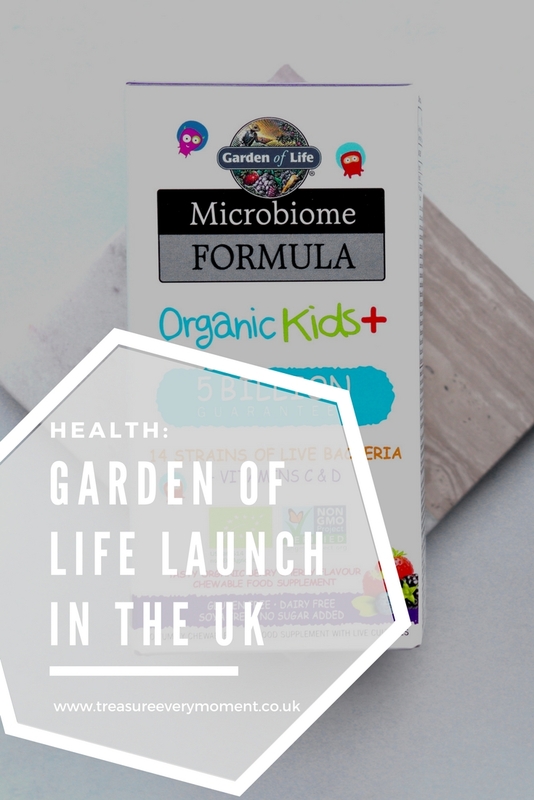 According to the NHS 40% of people in the UK have at least one digestive symptom at any one time, which is where Garden of Life's range of Microbiome Formulas can help. The live bacteria could help up to 39 million people in the UK improve their digestive issues, which can only be a good thing! Garden of Life's range are organic, natural and dairy, gluten and soya (except Mood+) free, which makes them accessible to a wide audience. They have Microbiome Formulas individually designed for men, women and children, as well as a UK market first with their recent launch of Mood+ which is created to support your emotional health and well-being. Our bodies rely on trillions of microbes to keep healthy, which altogether are called the Microbiome. These friendly bacteria are central to our good health, as they support healthy digestion and immune health. They also help to protect our gut lining and keep it healthy, so that maximum amounts of nutrients from our food can be absorbed and toxins are kept out of our bloodstream. Garden of Life Organic Kids+ is non-GMO verified and designed to help children build up a healthy microbiome, which makes it the first of its kind available in the Untied Kingdom. Suitable for children over the age of four years old, Organic Kids+ contains 5 billion CFU and 14 Probiotic Strains, all of which are specially selected for little tummies. They are also chewable, which makes them easier for children take. As well as containing 14 strains of live bacteria, they also provide Vitamin C and D, which as a parent is reassuring to know. This unique 3-for-1 natural formula is free from soya, dairy, wheat, gluten, suitable for vegetarians and there's no added sugar or sweetener either. Garden of Life Microbiome Formulas are now available from Wholefoods and Planet Organic, as well as independent stores nationwide. Do you or your children take any supplements daily? These sound great. It's also brilliant they cater for a wide variety of the population. Good information here. I get my kids to take a form of vitamins everyday. These sound like something we would use, I think we could all do with supplements!